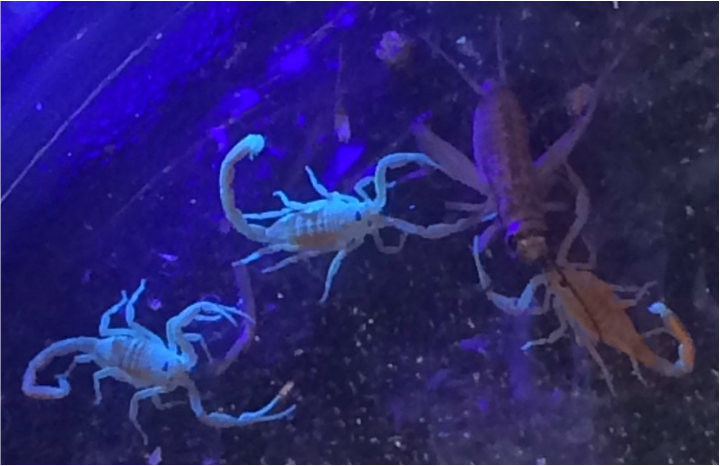 Scorpion Chronicles: Three week olds! 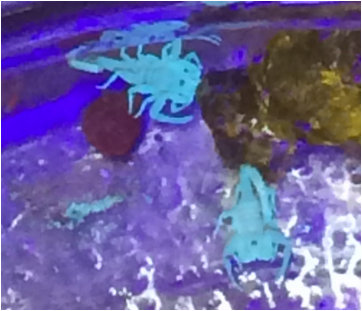 13 days later, momma and baby scorpions have become our resident pets as we watch to see how long it takes for babies to become independent. 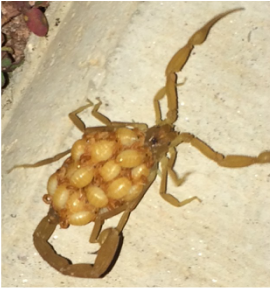 The babies are now fully formed and recognizable as scorpions, where as before they just looked like plump white maggots. They are starting to venture out on their own. 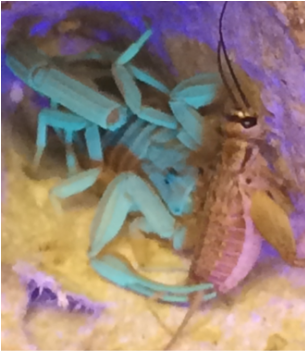 It seems like momma got hungry and snacked on a few at some point, unsure if any of the babies turned on each other? 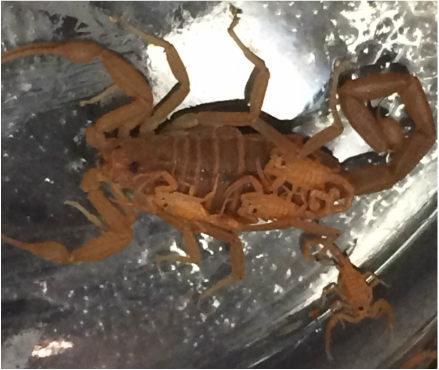 This momma scorpion was found during an evening walk with her brood of roughly 16 babies.